While Bernie Sanders’s body language showed that he was angry not only about the issues he passionately believes in, his body language showed that he was clearly angry that he was not the nominee. He showed that anger through pointing, pursed lips, and lip licking as he reluctantly supported Hillary. As he said “This election is about ending the grotesque level of income and wealth inequality that we currently experience, the worst it has been since 1928. It is not moral, not acceptable and not sustainable that the top one-tenth of one percent now own almost as much wealth as the bottom 90 percent, or that the top 1 percent in recent years has earned 85 percent of all new income. That is unacceptable. That must change” one could not help but think of Hillary being at that a “grotesque level of income and wealth inequality ” to which he was referring. After all, Hillary and Bill are one of the richest couples in the world. Deep down, here was no happiness and joy in his speech. He did what he had to do and the only thing he felt good about was that several of the issues he holds near and dear have now been incorporated into the Democratic Platform. Whenever he mentioned Hillary’s name he never smiled or showed warmth. While Bernie has usually shown a similar body language and facial expression throughout his campaign, the fact that this was the Democratic convention where she was supposed to be singing Hillary’s praises speaks volumes. It says that his heart isn’t really into it. While the words are certainly there, his body language says the complete opposite. What he is saying is that he is going to make sure that he keeps an eye on the Democratic Party to make sure that all of his issues are implemented into the Democratic Platform because no doubt, he doesn’t really trust them. After what happened to him during the campaign, where millions Americans voted and sent in contributions to finance his campaign, turned out for his rallies, and cheered on his promised revolution, little did they know that Bernie never stood a chance. Their time and effort was wasted. Now leaked emails have confirmed what he suspected all along- that the Democratic National Committee decided that Hillary Clinton would be the Presidential nominee long before any votes were cast. His supporters at the convention appeared to be devastated. Many of them covered their mouth in upset and even cried, as you can see in the photos above. With knowledge of the leaked emails his supporters are livid. For many on the fence as to whether they were Bernie or Hillary supporters, the rigged campaign may have prompted them to leave the party all together and vote for Trump. Others who were Bernie supporters may feel duped and so angry at the DNC , that they too may refuse to vote for Hillary. Even though his parting words were ” Hillary Clinton will make an outstanding president and I am proud to stand with her here tonight.” his body language and facial expression showed that he really didn’t believe what he was saying. He wasn’t smiling at all when he made that statement. In fact ,the only time Bernie cracked a smile was when he was how much love there was on the convention floor for him and people wouldn’t stop clapping or chanting his name. Otherwise he had a sour facial expression throughout his speech. He clearly never smiled when she spoke of Hillary. His body language and facial expression said that deep down he believes, as do all of his supporters, that he would make an outstanding president and he would be prouder if he were the nominee instead of Hillary. In making this analysis, know that I have no bias whatsoever. I am not supporting one candidate over another. I am objectively using my skills as a Communication and Body language expert to share my observations. As Bernie Sanders takes to the podium to say why he say came here, notice that Hillary is leaning away from him and looks miserable. There is no smiling on either of their parts. That is not a good sign. Bernie then says he wants to make it as clear as possible as to why he is endorsing Hillary Clinton. While she begins to smile, Bernie is definitely not smiling. Instead, he licks his lips and then purses his lips, as you see in the photo above. In essence, the lip licking and swallowing reflects that his autonomic nervous system has taken over and he is clearly doing something that he does not want to do. The lip pursing is the body’s way of saying “I really don’t want to say this.” His lack of smiling when standing next to Hillary also reveals his true negative feelings towards her. It indicates that he is not enthused to be endorsing her. Hillary clearly knows how he feels as she exhibits a teeth-clenched, forced smile with her eyes not crinkling. Hillary also feels Bernie’s “Burn” so to speak as she leans back with a more serious facial expression and also purses her lips. This further indicates her discomfort around him. At first, she was smiling as you saw earlier. But then she quickly changes her facial expression as she no doubt, feels the negative energy coming from Bernie. As Bernie says Hillary will be the Democratic nominee for President, Hillary is not smiling and her hands continue to be clasped in front of her private area in front of her, indicating that she is feeling vulnerable. The reason she may be feeling vulnerable may be because she may be feeling that Bernie’s heart isn’t really into his endorsement. She knows he is doing what is politically correct. But she also knows that he is clearly not feeling it, based on his body language. There is something to be said about the expression “tongue in cheek” which means you are saying something that you really don’t mean. Look at how Bernie literally has his tongue in his cheek while he is endorsing Hillary, indicating that deep down, he doesn’t mean it. Then he balls his hand into a fist as he says he will do everything he can to make certain she is the next President. 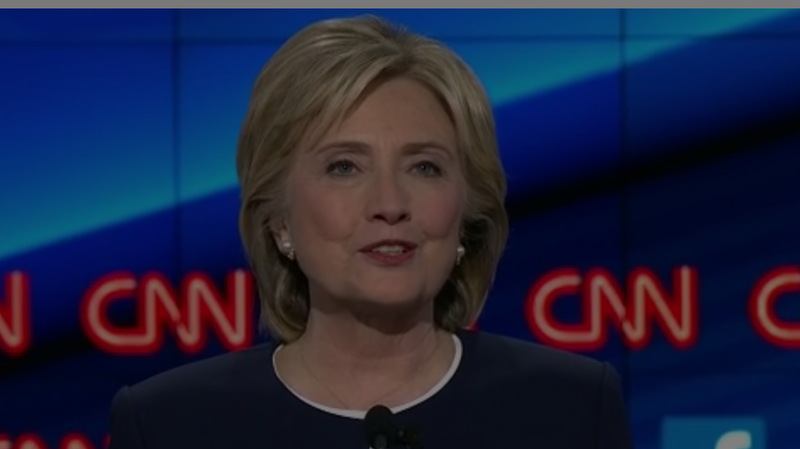 Hillary is still not smiling nor is Bernie. That is his anger leaking out. He is feeling angry at having to endorse Hillary and it has shown in his body language. As Bernie says she will be the next President of the United States, he looks down and frowns. He does not look at Hillary. In fact, throughout his speech, he never looked at Hillary, which is telling. Hillary does manage to smile at these words and it is a genuinely happy smile with cheeks raised, eyes crinkled, and teeth showing. 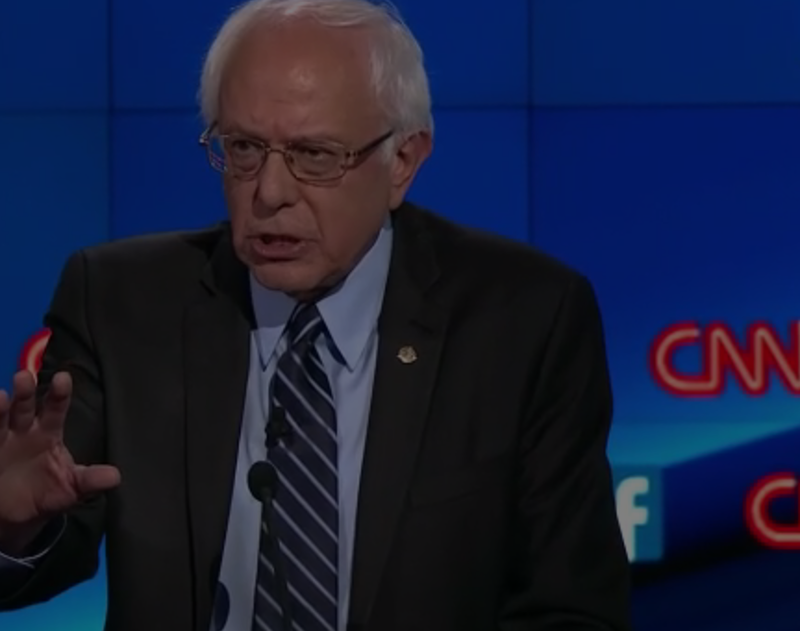 As the audience cheers, Bernie looks angry and he gives a huge sigh of defeat. Then he looks down and purses his lips, as you can see in the photo above. He is clearly not a happy camper and Hillary knows it. Yet, she tries to stay positive. The bottom line is that Bernie Sanders is angry, swallowing his pride, toeing the party line, and being politically correct. But his heart is clearly not in it as you can see from his body language signals. Hillary knows this as well, as it is reflected in her body language. Yet, she tries to keep up a pleasant expression. The fact that she has continued to hold on to herself with her hands clasped directly in front of her throughout the entires speech, without moving, shows that she was literally “bracing herself” until Bernie’s non- heartfelt endorsement was over. When Hillary began to speak, Bernie’s autonomic nervous system was working overtime as you can tell in the photos above. He was perspiring profusely, which appeared to be an indication of his emotional state. He wiped his forehead, both sides of his cheeks, and did it two different times. Apparently, giving this speech appeared to be one of the most difficult things he had to do as part of the campaign. He even wiped his mouth as there was sweat above his upper lip, which is often an indication of deception. Even though his words said he was happy for Hillary and that he was endorsing her wholeheartedly, his body appeared to say the opposite. He literally had to catch his breath. He took a very deep breath whereby you could see his shoulders raising as he then deeply exhaled that breath. He was oxygenating himself to stay composed. His shoulders were rounded as though he felt defeated. His lips were also pursed, indicating unhappiness. He maintained that pursed lip appearance as his jaw jutted forth, which indicated that he was feeling anger at the situation of having to endorse Hillary. As we have observed, his body language, while remaining in the background while she spoke, spoke volumes about what he was really feeling . Once again, this is not any indication of any political bias. I merely reported my observations on their body language as a professional Body Language and Communication expert. Bernie Sanders was warm and engaging as well. He had a down home style that was very appealing as it seemed as though he was talking directly to you. He is tone sounded like a familiar uncle. While he had a somewhat cartoonish Elmer Fudd type accent, it was rather appealing. He was the most passionate of all the candidates in terms of his delivery. Sometimes it was over the top but her was very watchable, much like Donald Trump in terms of his of not being reserved about speaking his mind without worries of political correctness. He made many open handed gestures where you often saw the palm of his hand, indicating his openness and having nothing to hide. His body language and gestures matched what he said. 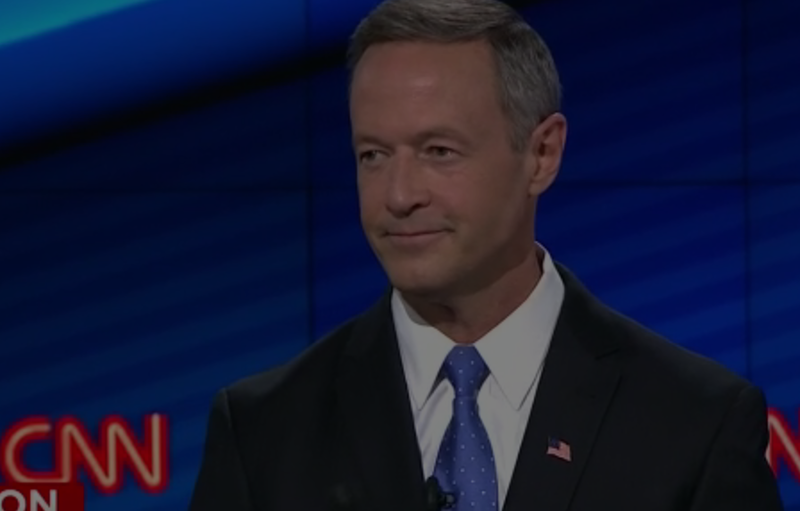 While the handsomest candidate was O’Malley, after hearing him speak in his monotonous droning voice that was muffled and breathy, he lost a lot of points. He was so monotone, staccato, and boring in his delivery that it negated his good looks and whatever he had to say. While he seemed cordial and polite, he was so boring that it was very easy for the viewer to tune out when she spoke. His absence of inflection and vocal enthusiasm could have easily put some to sleep. 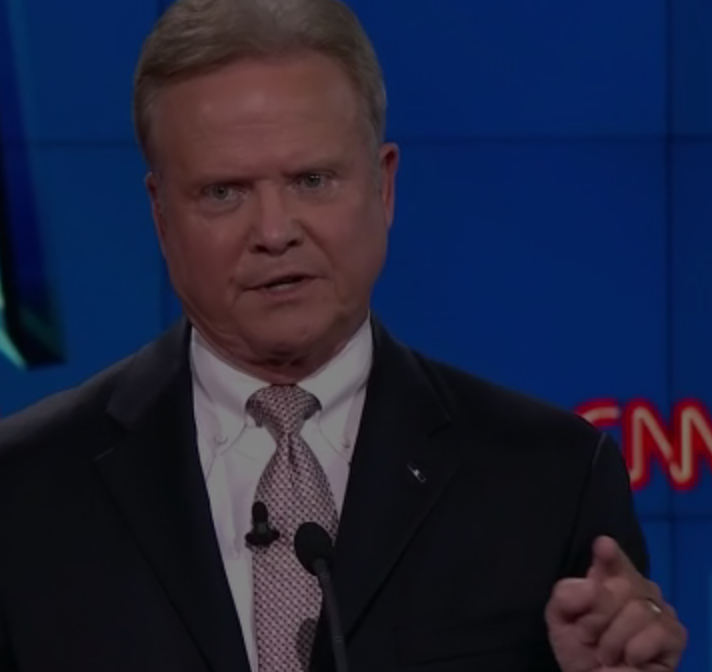 Webb appeared angry with a fixed scowl on his face. His posture was too rigid and mechanical . So was his facial expression. He was not engaging but consistently angry sounding. His staccato tone was also off putting. 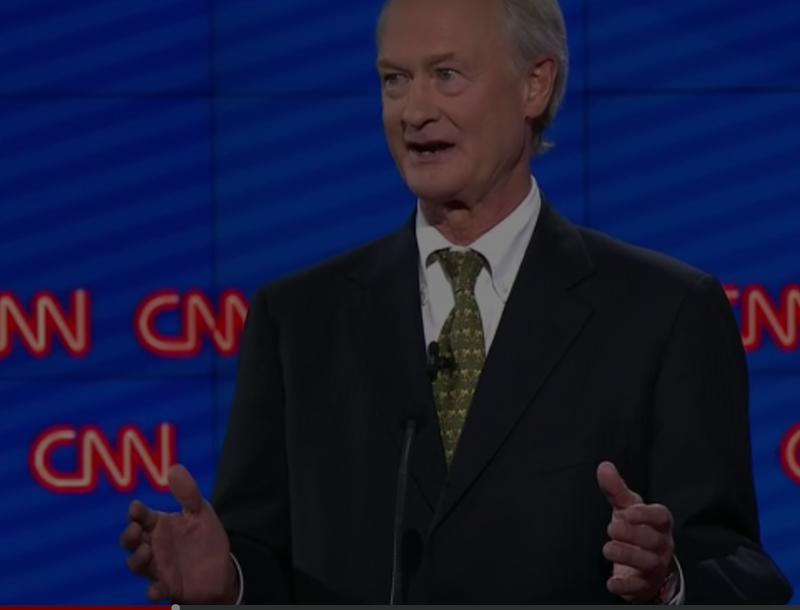 It is clear that Webb, Chafee, and O’Malley need some serious voice and speech and body language coaching if they plan on getting their message heard in the second debate. Communication skills are key to winning a Presidency. If you are boring, monotonous, whiney, or your body language doesn’t match what you say, people are turned off with you. Once again I will reiterate that this is not a political blog and that this is not about politics but rather about their delivery in terms of how the candidates presented themselves in front of voters.